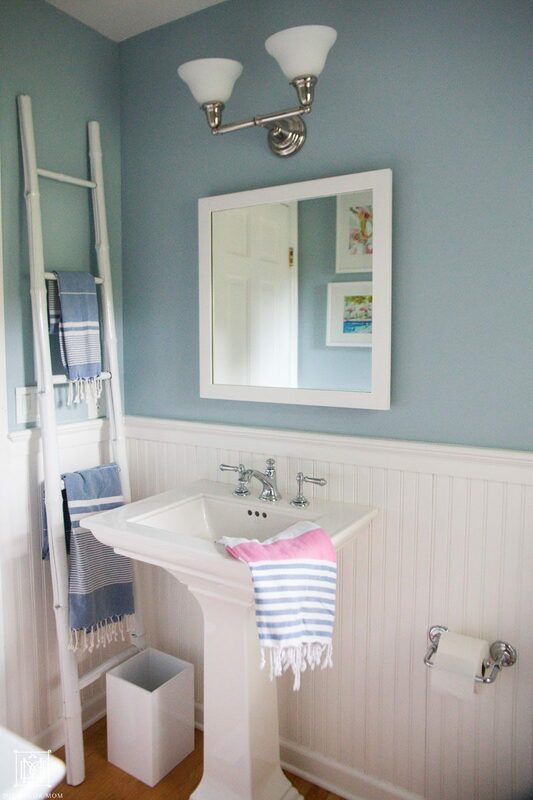 Ways to Make a Small Bathroom Look and Feel Bigger: Have a teeny tiny small bathroom that you want to feel bigger? 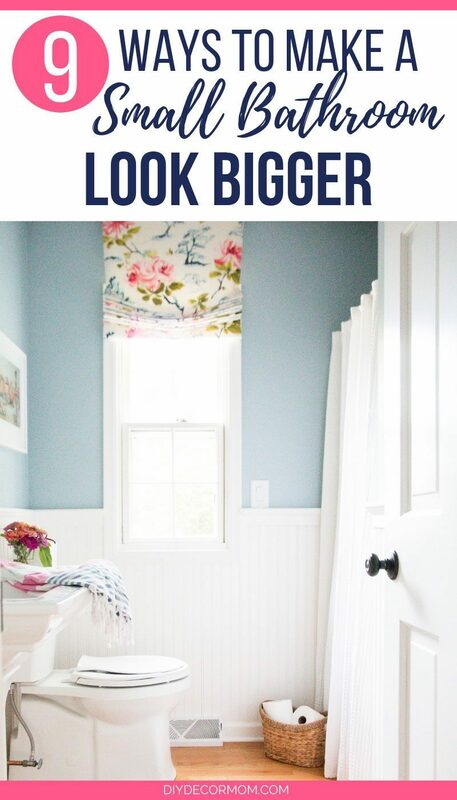 These nine ways to make your bathroom seem larger will make any bathroom seem more spacious and relaxing! This is a sponsored post in collaboration with Build.com all thoughts and opinions are mine alone. Our first-floor bathroom started off looking like this. It was dark, dreary and always felt dirty no matter how many times I would scrub everything. I don’t know whether it was the mismatched oil rubbed bronze fixtures, the brown light shades, or the khaki brown walls; but the room made me feel claustrophobic! After our mini makeover during the One Room Challenge a few years ago, aesthetically the room functioned better. 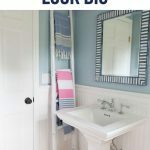 We did a lot of inexpensive budget-friendly upgrades like painting, adding beadboard trim, and adding decor (see my bathroom decorating ideas here.) But, the bathroom still didn’t function well. 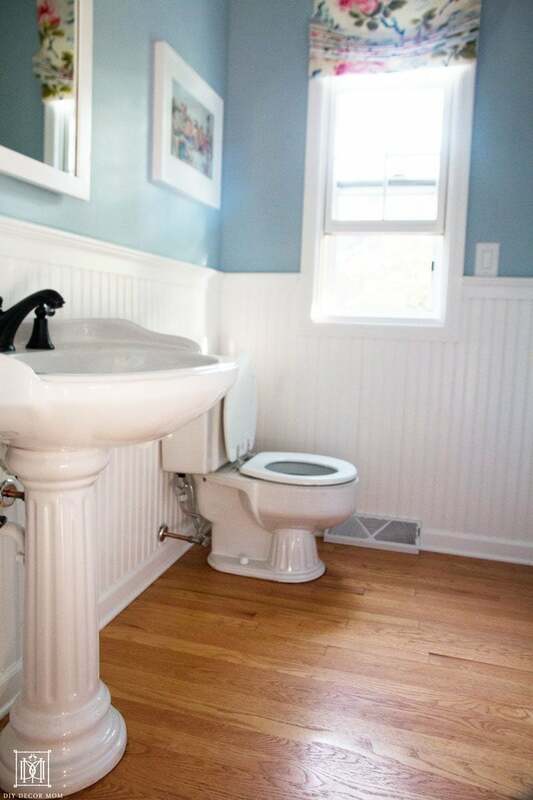 Our old 1980s toilet was a water hog, and between all the decorative trim accents on the sink and the toilet, I was constantly cleaning everything! Plus, the dark oil rubbed bronze plumbing fixtures clashed with the clean and simple lighting we had installed. So, we decided to make several more improvements to make our bathroom feel bigger and work better for our family of five. I am happy to say that after making these improvements, the bathroom feels so much better! 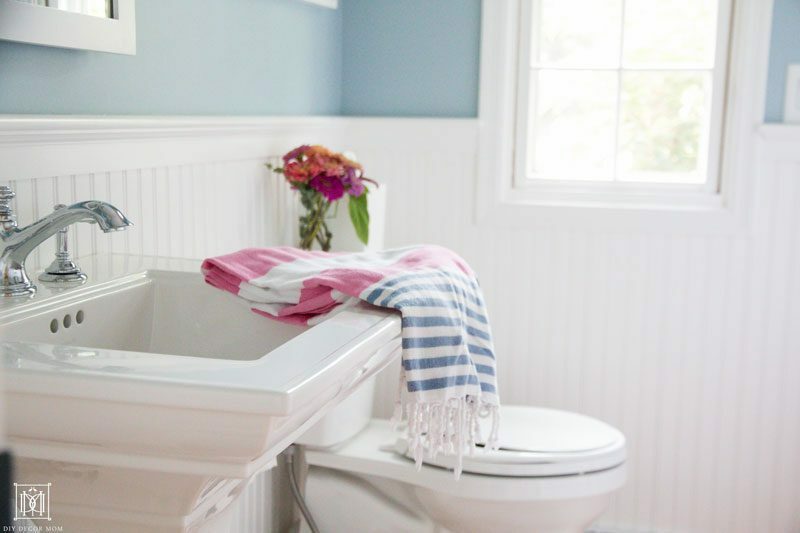 So here are my tips for 9 ways to make a small bathroom feel bigger! The first thing we did was replace our dated pedestal sink with a classic and modern looking one from Kohler through Build.com The clean lines immediately made a huge difference in making the bathroom feel bigger. 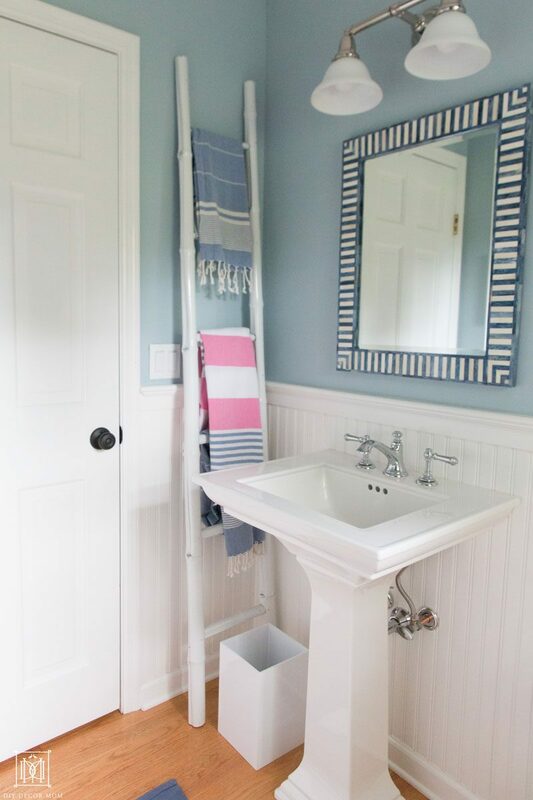 If you have a small bathroom that you want to look bigger, as tempting as a sink with a vanity cabinet is for storage; remember, it’s going to take up a lot of space visually. If you are concerned about storage, then consider adding a medicine cabinet recessed in the wall! 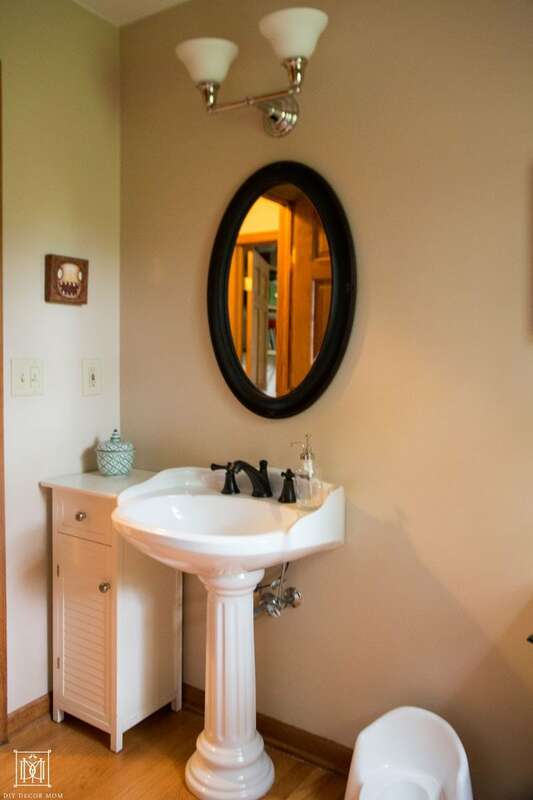 Here’s a picture of our old pedestal sink. It wasn’t horrible but it wasn’t good. Let’s just say the shell-shaped engravings in the reservoir bowl didn’t help its’ aesthetics! 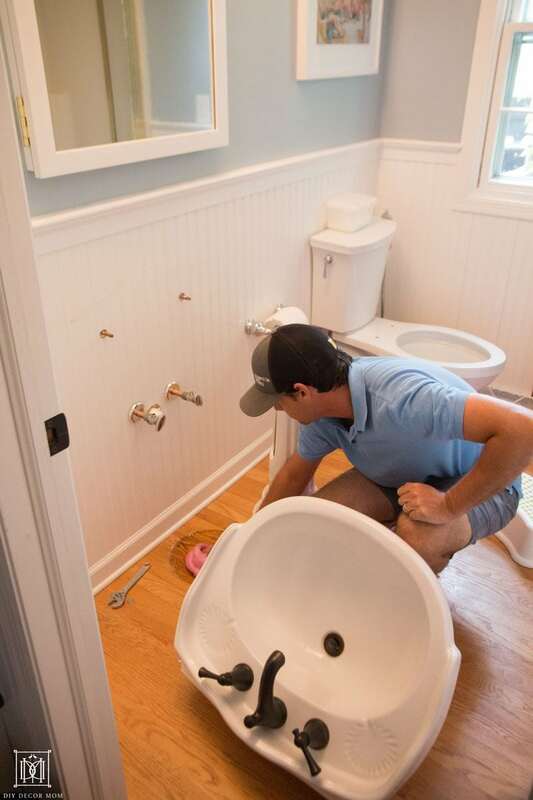 Here’s my husband removing our old pedestal sink and getting the bathroom ready for our new streamlined pedestal sink from Build.com! Our mirror before was absolutely fine but it didn’t add any pizazz to the space. Our new mirror catches your attention and directs it where I want it to go! Build.com has an amazing selection of pedestal sinks. 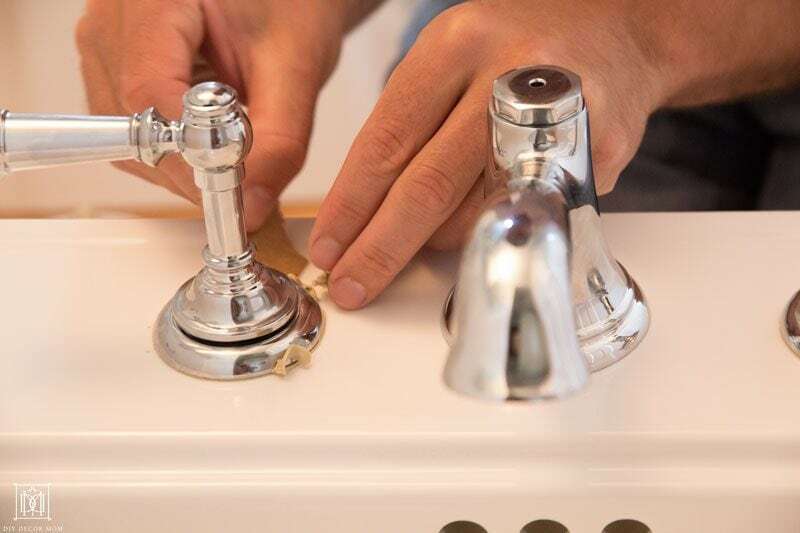 We chose this Kohler pedestal sink here but there are so many different options, and you can find exactly what you need at Build.com. See their complete pedestal sink collection here. Their prices are very affordable and their service was amazing! Installing a glass shower door can immediately open up a small bathroom floor plan. We opted to use a basic white shower curtain to disguise the shower insert because there was a whole lot going on in the room already (and our old shower needs an udate but we aren’t ready to dive into it yet!) 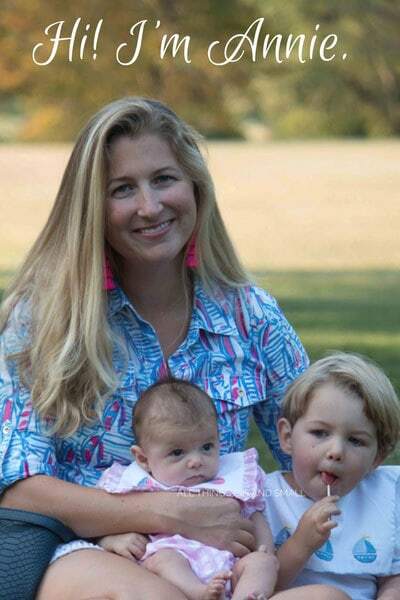 While it can be fun to have a colorful shower curtain (see my favorite shower curtains here), they definitely are distracting. 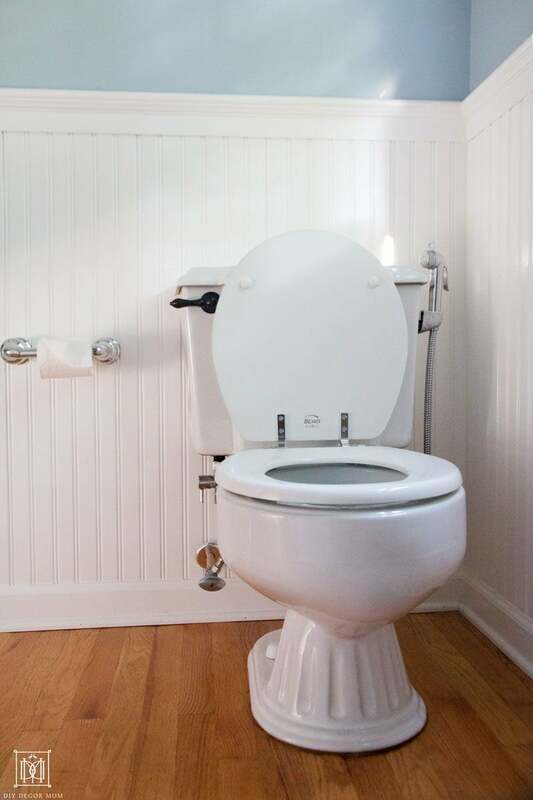 A simple white one blends in and works well in small bathrooms. See all the shower doors at Build.com here, you can see they have every size and style imaginable at great prices! 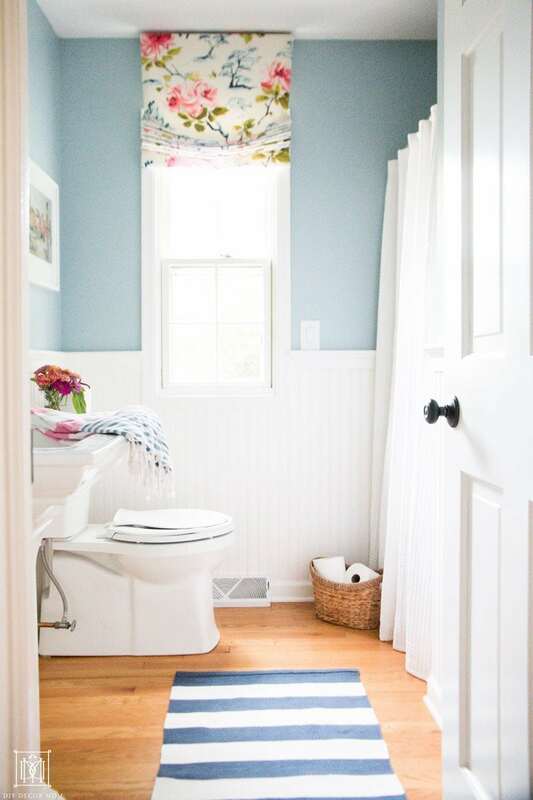 Small bathrooms don’t have a lot of room for decorative accents. I like to keep the accessories to a minimum in a small bathroom so it’s not cluttered. 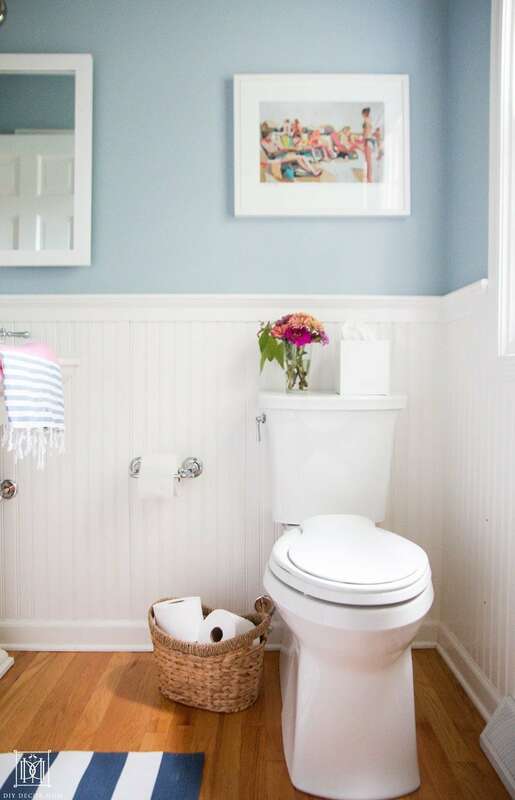 Hence, I recommend either install floating shelves above a toilet to make room for a decorative vignette and add storage or simply display art on the walls. 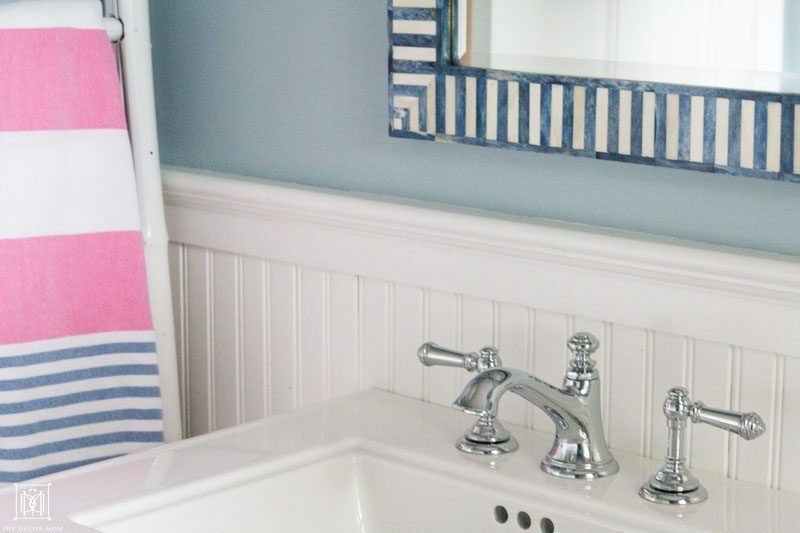 Since we don’t use this bathroom to shower in (it’s our first-floor bathroom, we opted to display our favorite colorful art prints for a pop of color opposite the sink.) I love how you can see it in the reflection of our mirror. 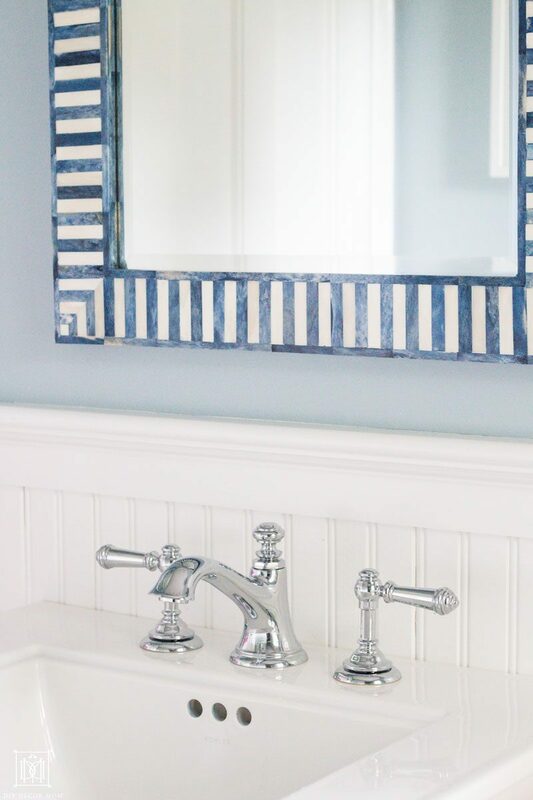 Mirrors are the secret weapon of the small space decorator! Mirrors immediately multiply your visual space by tricking your eye. 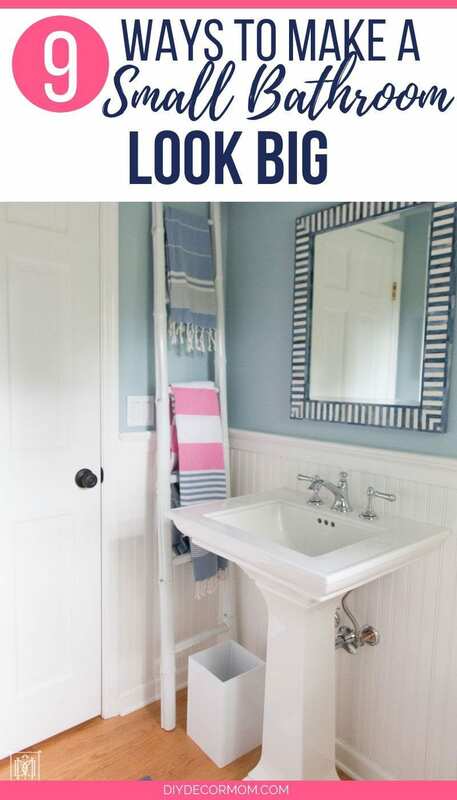 Make sure you have an appropriately sized mirror for your bathroom. 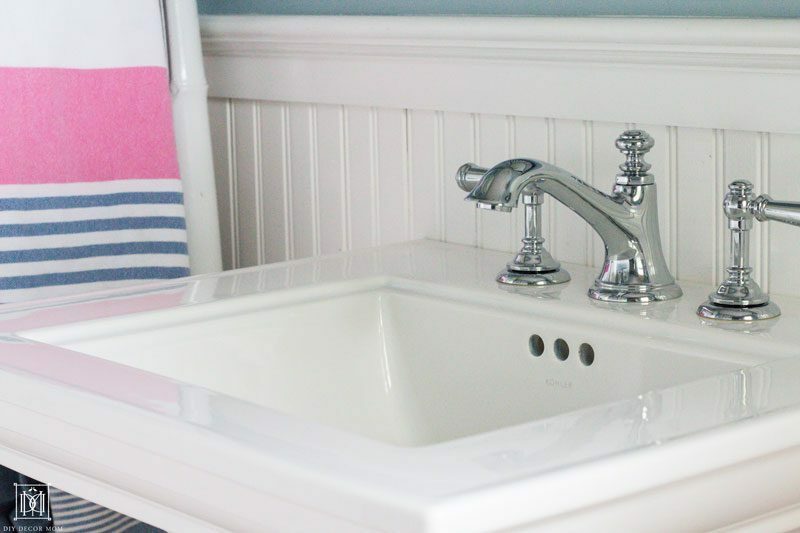 Using the width of your sink as a guide is a good place to start. 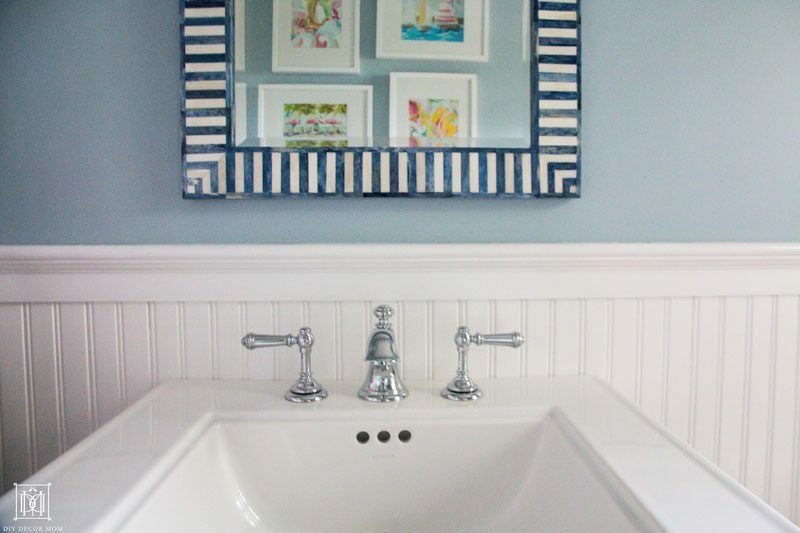 By installing a blue and white border mirror in our bathroom, we drew attention to it and made the small bathroom appear larger! 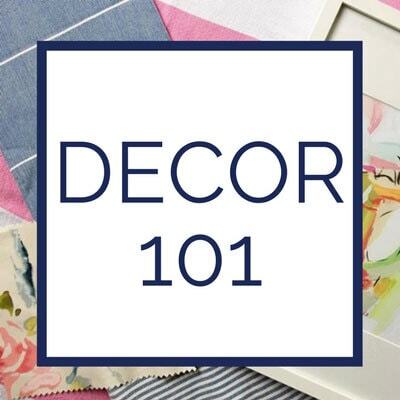 Decorator’s Tip: Remember, focus your efforts on the places you want to draw attention to! We didn’t want to highlight our shower, so we disguised it behind a plain white shower curtain. Instead, we wanted to draw people’s attention to our gorgeous new mirror and pedestal sink creating a focal point–so we used a decorative mirror. You could always use a medicine cabinet with a built-in mirror like this to provide storage in a small bathroom as well! Curtains are for windows what mascara is to your eyes–use curtains to make your windows seem larger! By adding a DIY Roman Shade to our downstairs small bathroom, we raised the sight line to the ceiling making the windows seem much larger. For bathrooms, I prefer to use Roman Shades instead of traditional panel curtains for cleaning purposes. See how we made our DIY Roman Shade here. 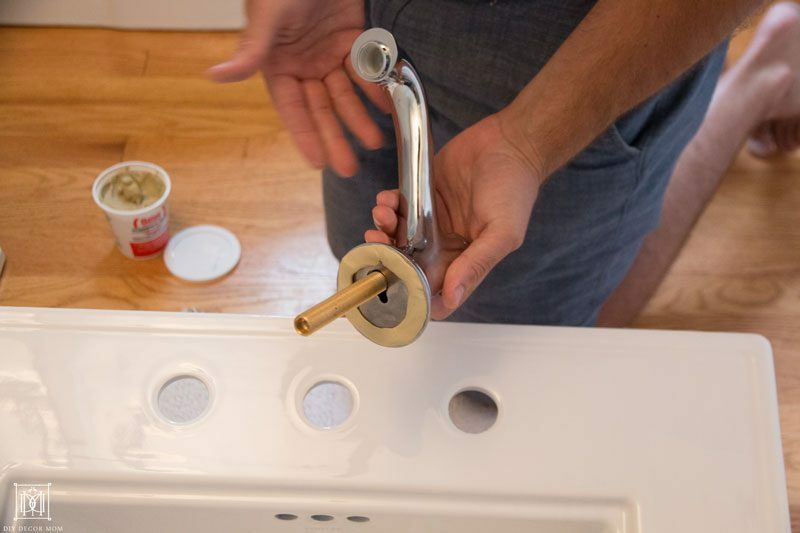 While you should keep the decorative accessories to a minimum in a small bathroom, adding a few little accessories here and there warms up space. 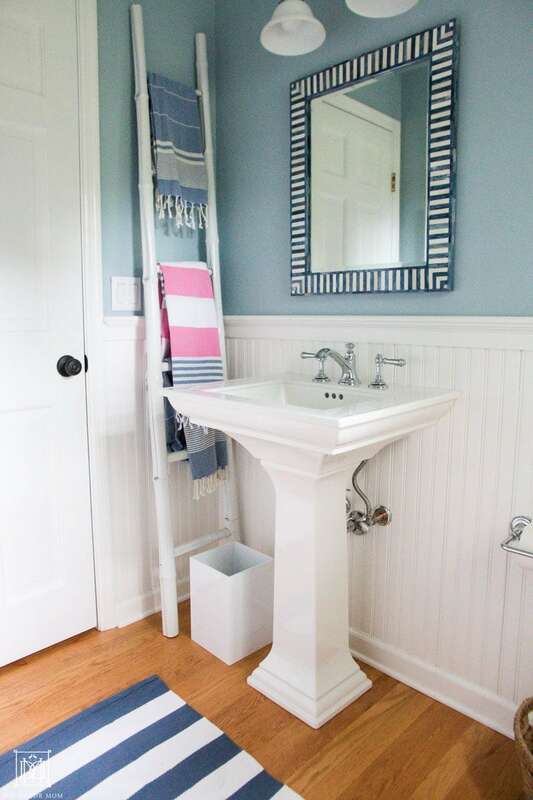 Just because it’s a bathroom doesn’t mean it needs to look spartan! One or two items on top of the toilet are sufficient. 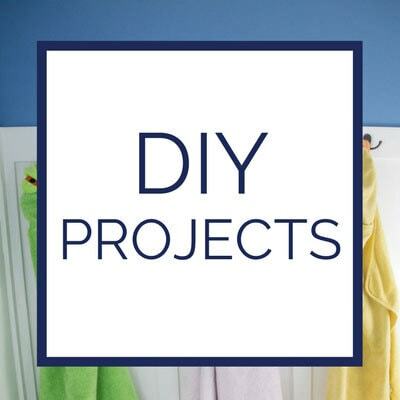 Keep a decorative towel out for hand-washing and some soap on the sink and you can call it a day! As much as I like to mix metals in other parts of my house, in a small bathroom, I recommend sticking to one finish to make it seem larger. Changing all the finishes to polished chrome our bathroom appears made our small bathroom seem cleaner, simpler, and brighter. Build.com has so many different choices of finishes for any product you want, that’s why I loved working with them! By reversing the light fixture’s orientation, we were able to create a much nicer ambient mood in the bathroom than before, when the bathroom vanity sconce pointed up towards the ceiling it reflected the light off the ceiling creating a harsh look. Pointed in a downward direction, the bathroom ambiance is softer and more aesthetically pleasing. 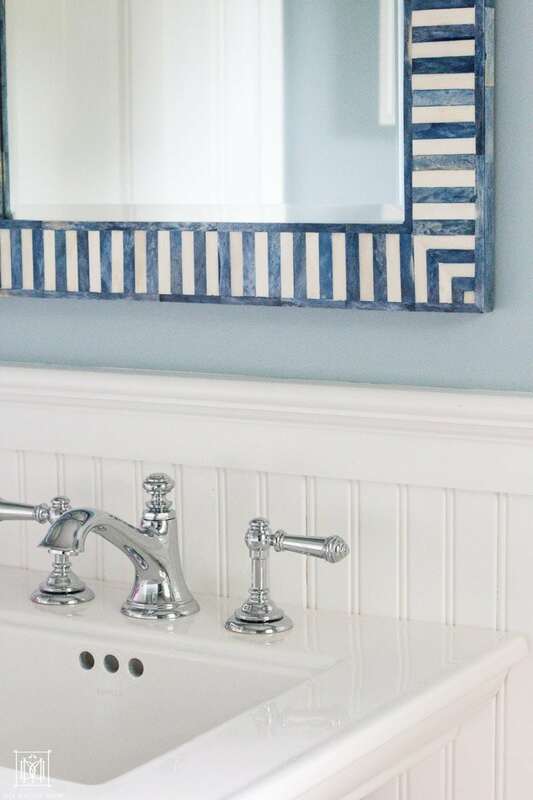 If you need a new bathroom light fixture, I love the look of this very similar bathroom wall fixture from Build.com. You can peruse their entire bathroom lighting selection here. We chose a classically designed toilet with modern lines from Kohler and a striking pedestal sink because they let your eye relax. With the clean modern lines, your attention is directed elsewhere. Build.com has an amazing assortment of toilets and sinks for every aesthetic taste. See how much better our new toilet looks than our old one shown below? 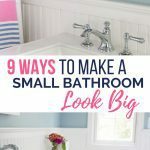 In conclusion, there are lots of ways to make a small bathroom look bigger and these are my favorite nine tricks! 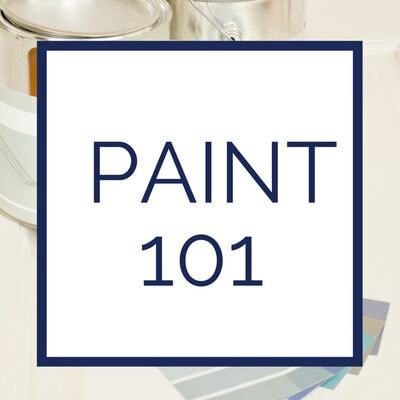 By doing these small improvements and improving your bathroom piece by piece, you can transform your room! 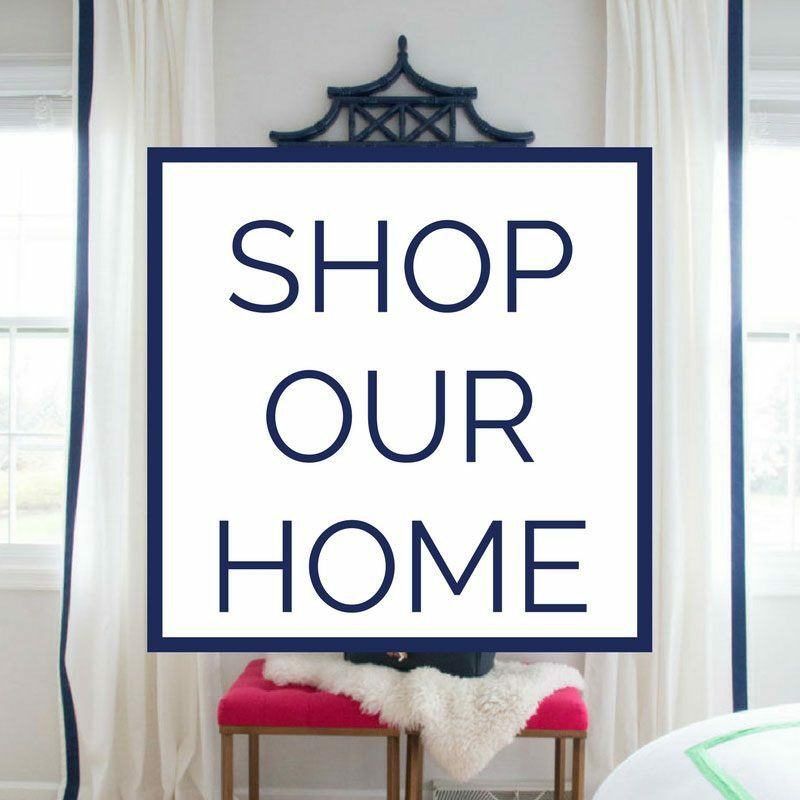 I love shopping at online stores like Build.com because they make it easy! I can design the room I want online, see all my products together, and can even chat live with help! 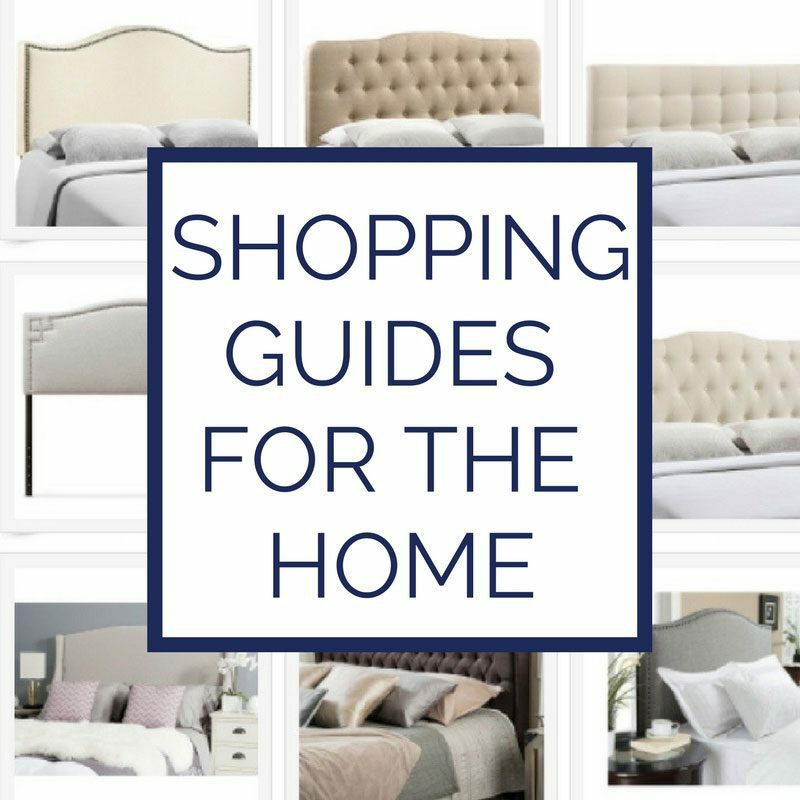 Their experts can help you select everything you need, and it’s all at affordable prices. Believe me, we have two more bathrooms and a kitchen to renovate and I will definitely be using Build.com again! This looks so nice. The attention to detail is wonderful. Love the ladder rack in here and that roman shade and fabric is perfect.